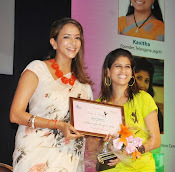 A unique health empowerment initiative "I am a Lady" launched on World Women's Day! 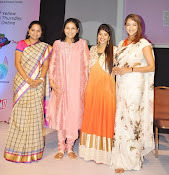 Apollo Hospitals in association with FICCI FLO, Yellow Thursday & JRC Convention & Trade fairs, launch "I am a Lady". Actress Ms. Lakshmi Manchu, Ms. Kavitha, President, Telengana Jagruthi and Ms.Kshira Reddy Head of JRC Convention Centre, formally launched the initiative. Ms. Sangita Reddy, Executive Director, Apollo Hospitals Group, delivered the Key note address on the occasion.